Harold Loch was born on November 29, 1919, in Denmark, Wisconsin. 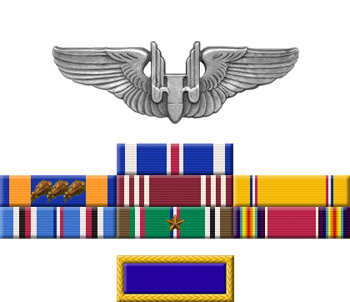 He enlisted in the U.S. Army Air Forces on November 17, 1941, and after completing basic training, flight engineer training, and aerial gunnery training, he was assigned as a flight engineer and top turret gunnery on B-17 Flying Fortress bombers with the 324th Bomb Squadron of the 91st Bomb Group in England in October 1942. 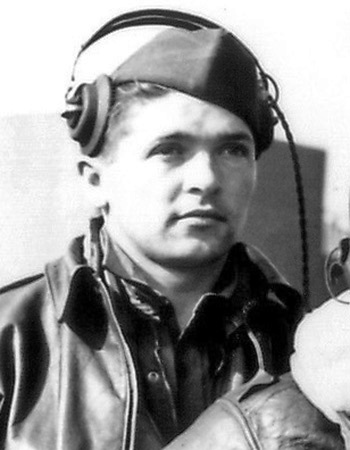 Sgt Loch joined the crew of the B-17 "Memphis Belle" in February 1943, completing his tour and returning to the United States with the bomber in May 1943. He and the crew then completed a war bond tour across the United States with the famous B-17 from June to September 1943. He remained in the United States for the remainder of the war, and received an honorable discharge from the Army Air Forces on October 17, 1945. Harold Loch died on November 12, 2004, and was buried at Fort Howard Memorial Park in Green Bay, Wisconsin.